NOW IN ITS SECOND PRINTING!! 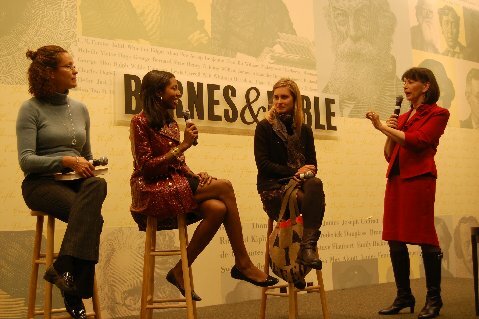 In 2010, the gender balance in the American workforce tipped toward women. For every man who received a bachelor’s degree, three women did the same. Yet there is still a 20% pay gap between men and women, and women represent only 3% of Fortune 500 CEOs. What’s wrong with this picture? In No Excuses: 9 Ways Women Can Change How We Think About Power (Seal Press), feminist icon Gloria Feldt asserts that nobody is keeping women from parity — except themselves. Combining extensive research, her personal experience as former CEO and president of the Planned Parenthood Federation, and interviews with dozens of women politicians, business owners, and activists, Feldt concludes that the doors of opportunity are wide open, but too few women are leading the way to claim their power and reach parity with their male counterparts. Gloria encourages women to embrace power—by defining the terms of their personal and professional interactions and by employing every medium to get their message across. “Women are socialized, pressured to conform,” Feldt explains. 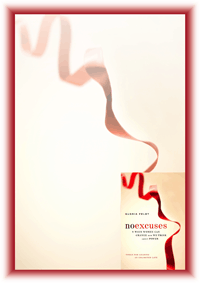 “No Excuses provides 9 practical power tools that help women to embrace their power in their relationships and at work, in order to lead unlimited lives. Timely and hard-hitting, No Excuses is an invaluable resource that will help women equalize gender power in politics, work, and love. Order your copy today. Want a free, signed and personalized bookplate for your copy of No Excuses? Email me your name, mailing address, and who to inscribe the bookplate to. I’ll send you one with my thanks for your support of No Excuses! or workshop, learn more here.